BELIZE CITY, Fri. July 3, 2015–For the first time in Belize’s history, a politician has withdrawn a case, already in court, against principals who allegedly defamed him by publicly airing comments to the effect that he, the minister, was using his office corruptly, complete with the details of that corruption. The Belize Rural North area representative and Minister of State, Hon. 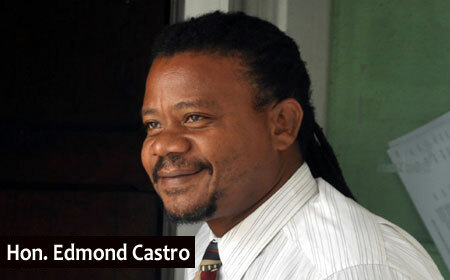 Edmond “Clear the Land” Castro, who recently won the United Democratic Party (UDP) constituency convention to become the Party’s standard bearer in the next general elections, had sought legal redress in a defamation of character lawsuit for allegations of corruption involving a visa hustle at the Immigration Department, but his defamation case could not proceed, adding more damage to his already battered public image. One of a number of allegations against Castro had led to his removal from Prime Minister Dean Barrow’s Cabinet during the last UDP term. This morning, the attorneys in the defamation case brought by Castro against whistleblower Alvarine Burgess and Great Belize Productions, Channel 5, were scheduled to hammer out, in oral submissions, the points they had submitted to Supreme Court Justice Courtney Abel in their electronic skeleton arguments. There was, however, an unexpected, if not dramatic turn of events: Castro and his attorney, Rodwell Williams, S.C., from the Prime Minister’s law firm, Barrow and Williams, were advised by the trial judge to drop the claim because it had little prospect of succeeding and Castro might have faced an adverse judgment. Williams prevailed on his client to withdraw, and he presented the motion to withdraw. The court thus ordered Castro to pay the cost of the attorneys for Burgess and Channel 5, in the region of $30,000. 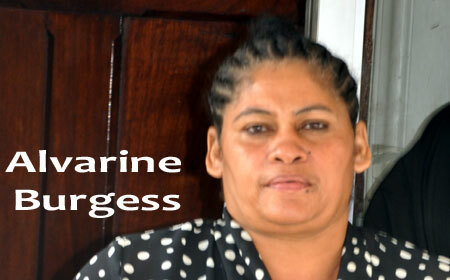 Alvarine Burgess, a former immigration agent, told Channel 5 News in October 2013 that she paid tens of thousands of dollars to Castro, in his capacity as a minister of government, to facilitate visa recommendation applications for a number of Asian citizens who wanted to visit Belize. The case went to court last May, and both Castro and Burgess took the witness stand and were thoroughly cross-examined. On the first day of the hearing, Castro was subjected to a series of questions from Channel 5’s attorney, Godfrey Smith, S.C.
Castro admitted to almost all the actions to which Burgess had referred except to the taking of money for the visas. At times, he appeared confused on the witness stand, creating long pauses in the hearing. Smith’s cross-examination seemed to depict a politician who had transgressed the ethical code of conduct associated with his office, as Castro had to answer questions regarding questionable payments from the Belize Airport Authority, and his dismissal from the Prime Minister’s cabinet. Burgess stuck to her assertions that she paid Castro to facilitate his signing of the visa applications. Upon exiting the court today, Friday, Castro declined comment to reporters on the outcome of the case. His attorney, Williams, however, said Castro felt vindicated enough to withdraw the claim. That view, however, is not shared by Channel 5’s attorney, Smith, who remarked that they withdrew from the case to save Minister Castro’s rapidly sinking ship. “He brought the claim and at this last minute decided to withdraw the claim and pay costs; you don’t do that at this state,” Smith said. Smith said they believed that it was the end of the rope for Minister Castro. “He had foolishly brought a claim that had not the ghost of a chance of succeeding, embarrassed himself in court; made a number of admissions. He basically admitted that there was a visa hustle going on. Yes, his office was being used to facilitate this visa hustle,” Smith said. Smith said that Alvarine Burgess should be commended for “speaking truth to power;” and that both Burgess and Channel 5 have been totally vindicated. When he was asked about the judge’s role in bringing the case to an end, Smith said, “It is not improper for judges to give a preliminary view of how they see the case. To some extent, that was indicated and the lawyer on the other side, Mr. Williams, and his client consulted and came to a sensible view that they should save themselves what he referred to as the public embarrassment of a written judgment. “And that in fact there was truth to what had been said about the use of his ministerial office and his involvement in an immigration visa hustle,” he added. “They withdrew because they knew Mrs. Alvarine Burgess came and told the truth. I never withdrew anything. They were the ones who withdrew, because they knew they had a losing case,” Burgess said. Anthony Sylvestre, Burgess’ attorney said, there would have been scathing remarks and evaluation in a court judgment against Castro. That would have been a permanent record for all eternity, he said. “The conduct and the demeanor of Minister Castro in court left much to be desired; his statements and his admissions that he participated in this visa business. In court he was evasive, was seen to be far from telling the truth, and at the end of the day, a judge would have made a decision in our favor,” Sylvestre said. Attorney Dickie Bradley, on whose Monday night show on Channel 5, the Dickie Bradley Special, Burgess first revealed that she had paid Minister Castro to procure visas for Asians, told reporters that Castro is a minister of government whose conduct must be above reproach. Great Belize Production Ltd. issued a press release today saying that it felt that Channel 5 and whistleblower Alvarine Burgess had been vindicated in this high-profile case.